First photo of the new AVD-2000 composite to HDMI add-on board to complement Digital View LCD controller boards. 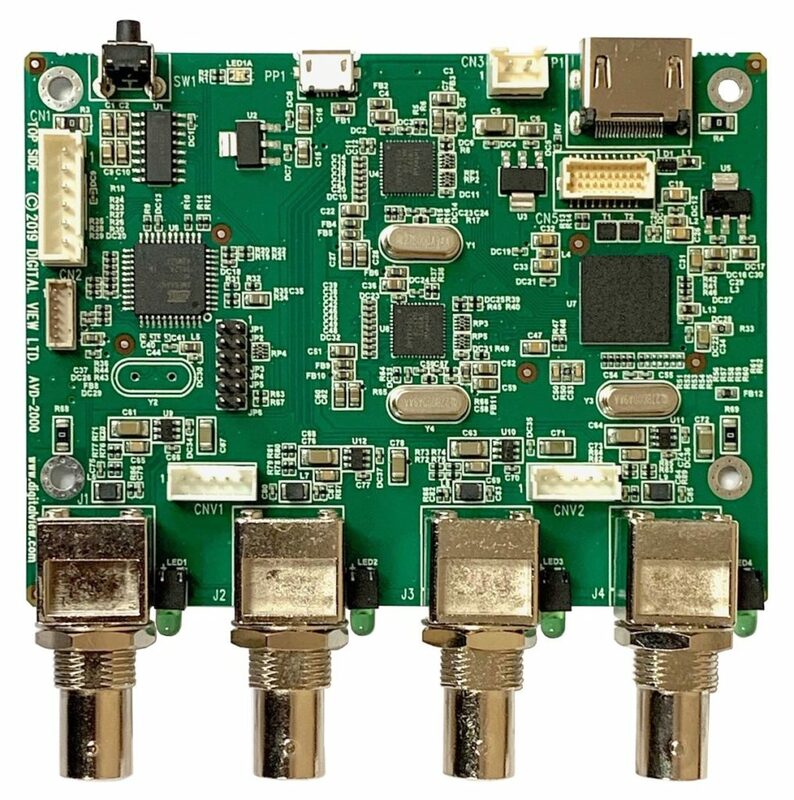 Designed for monitor manufacturers looking to provide support for composite video signals. Digital View will be showing a demo of this board at SID’s Display Week, May 14-16, booth #1622.